Maldives is a land with, virtually no land. The land to water ratio here is just 1:99, making Maldives the ‘go to place’ to experience island life at its best. Though you may travel to Maldives with a list of things to do, once you are here, chances are you will do none of them. Your room itself will prove to be an island of pure bliss. Observe fish through glass floors, jump into sea from your private deck, or simply sit back and soak in the sunshine. You might never want to leave your room. But if curiosity gets the better of you to discover what lay beyond the white sandy beaches and turquoise water, Maldives sure packs a punch. Despite its size and isolated location in the Indian Ocean, Maldives has a history dating back to several thousand years. The nation converted to Islam in the 12th century influenced by Arab traders. 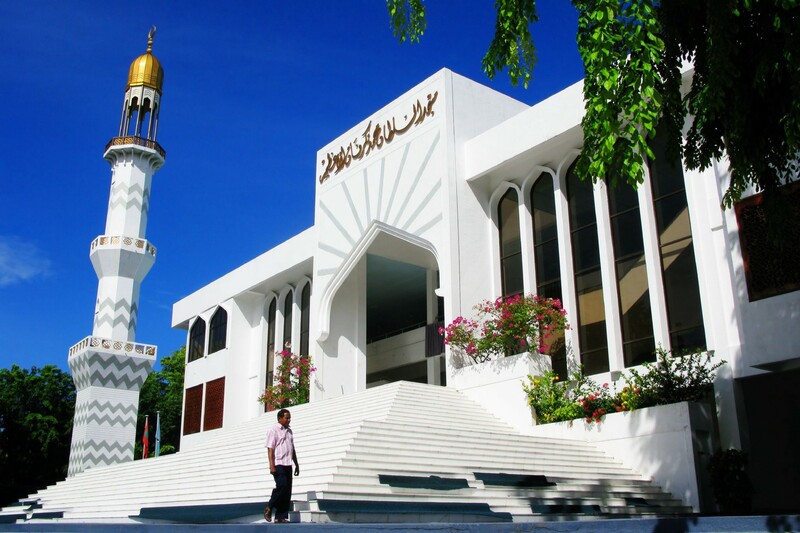 The monuments and art galleries here give a sneak peek into Maldives’s past and formative years. To get a glimpse into Maldives’s history, pay a visit to the National Museum. The museum holds a vast collection of valuable objects that showcases the country’s rich cultural heritage. It is located in the former Sultan’s palace and has ornate attires, coins and jewelery of the royalty. The oldest mosque in the country built in 1656. Best known for its intricate carvings and inscriptions. It’s a must visit during your visit to Male. The walls of the mosque are built with coral stones with Arabic calligraphy. Prior permission must be obtained to visit this UNESCO World Heritage Site. Male, the capital city, is a hop, skip and jump away from Hulhule airport — the main airport in Maldives. Quite a contrast to your serene resort island, Male is always abuzz with activity. Here, you can get a glimpse into the Maldivians’ daily lives. 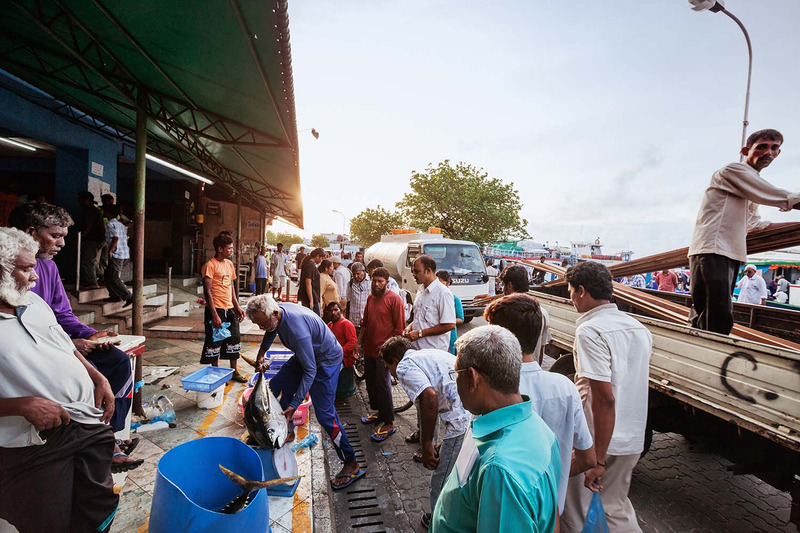 Do not miss a visit to the local fish market — a Maldivians’ major source of income. Pick up some fresh catch and get it cooked at a restaurant for a scrumptious meal. Food is the best way to connect with the local life in Maldives. Fish and coconut are two items abundantly available in Maldives and features heavily in Maldivian cuisine. 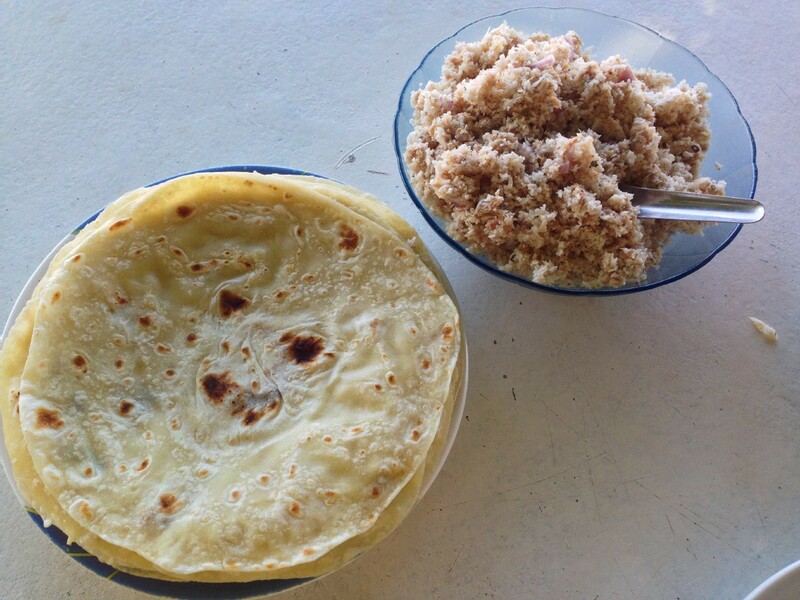 The most popular breakfast is Mashuni. It’s a mix of shredded coconut, tuna and onions eaten with Roshi — a type of roti that you find in India. Maldives is the world’s lowest lying nation with an average of four feet above sea level. And here’s a fun fact: Maldives’ law states that no building be higher than the tallest palm tree. Now that deserves all respect. While people come to Maldives to rest and relax, there are more things to do here than just that. This tiny nation offers adventure for all. Get up close and personal with creatures underwater. The crystal clear water gives incredible visibility and you can get a great view of the thriving marine life. 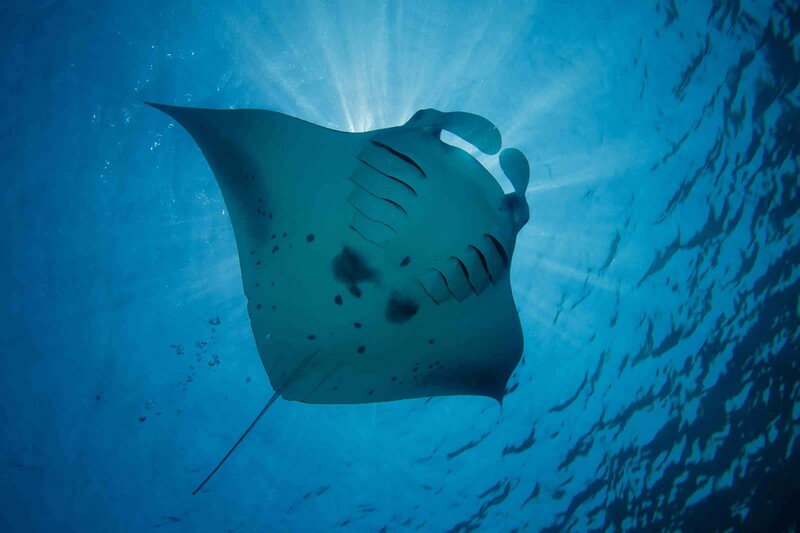 The one experience you ought not to miss is a swim with the majestic Manta Rays. These calm and peaceful sea creatures are great to behold. Hanifaru is said to be the best Manta spot. You can even go on dolphin excursions. Your resort will probably have one arranged for you. Maldives has said to have one of the most active and playful dolphins you will ever see. Island hopping is a great way to explore the different islands. It is also the best way to get an insight into the local life. Your resort package will mostly have one included in it. Maldives has about 1190 islands out of which only 200 are inhabitable. The beauty of Maldives that you see on screensavers and wallpapers are exactly the same. The turquoise water stretching beyond your eyes can see, the bright sun and blue lagoons and its active watersports and marine life will make you want to come back year after year. All said and done, whatever you choose to indulge in during your stay, one thing we urge you do is to Have Fun — or as a Maldivian would say, ‘Majaa Kollah Chey’.